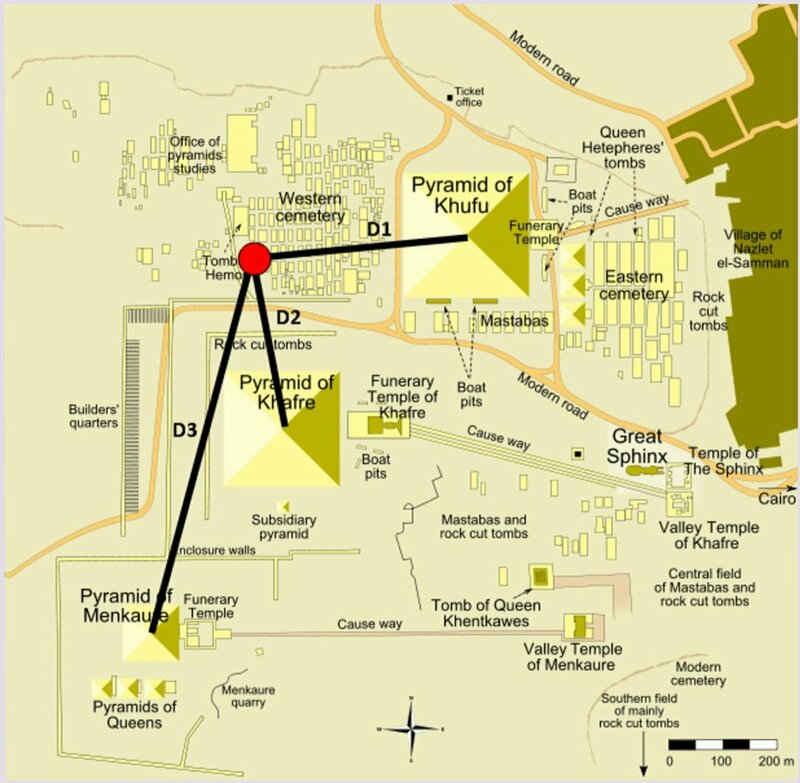 It is believed that the three biggest pyramids at Giza, including the Great Pyramid, were built to last until the time of the end by the Sethite descendants of Enoch, as per Josephus' historical witness. The incredible measurements of the Great Pyramid seen in Part 1 were no doubt proof of God. Check out these AMAZING correlations between the layout of the three main Giza pyramids and the planets: Venus, Earth, and Mars! The pyramids corresponded to the planets' distance from the sun, and the planets' volume with only the slightest variation for some (0.4%)! Without the technology we have today, this would have been impossible thousands of years ago for a mere human being to have known. The only possible explanation is God. Robert Menzies, in 1865 thought that the various passages were constructed according to a chronological scale of a geometric inch to a year. For example if you start at a certain point in the descending passage and this is represented by a certain year, than every inch you move represents one year forward. 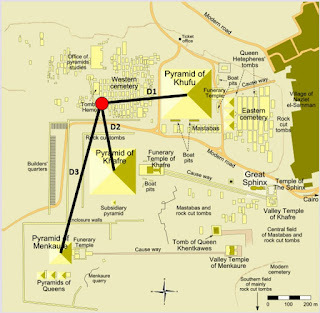 Major landmarks in the pyramid seemed to correlate with major historical dates! Moving down the descending passage to the exact beginning of the ascending passage, is a distance of 688 inches. If each inch represents one year we are at (2141 BC – 688 = 1453 BC). This year 1453 BC is the date of the exodus of the Israelites from Egypt! If we move up the descending passage to a distance of 1485 inches, we come to the opening of the grand gallery. This year, 33 AD (1453 BC – 1485 = 33 AD) is the date of the crucifixion of Jesus Christ! (If fractions of an inch are taken into account) is EXACTLY April 3, 33 A.D! If we move up the grand gallery to its end, we move 1881 inches. This year 1914 AD (33 AD – 1881 = 1914 AD), was the date of the beginning of the first world war! The intersection of the Queen's Chamber floor with the floor of the Ascending Passage at its opening into the Grand Gallery creates a triangle. The triangle's length along the Ascending Passage of 33,512 Jewish inches places the intersection of the Queen's Chamber floor and the Ascending Passage at September 29, 2 B.C., likely the date of the birth of Christ! 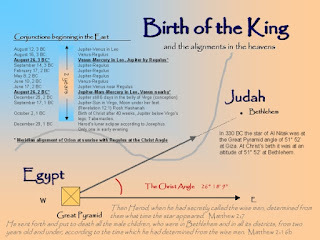 The horizontal base of the triangle in the Pyramid is 30,043 inches, or 3,469 inches short of the crucifixion, which corresponds to the date of October 14, 29 A.D., likely the date of Christ's baptism! Why did the pyramidoloigst chose the inch as the standard unit of measurement? The pyramidologists believe the linear unit used in the design of the great pyramid is the sacred cubic of 25.0265 British inches. The sacred cubit divided into 25 equal parts results in the sacred inch (also called pyramid inch) which equals 1.00106 British inches. Thus the pyramid inch is very close to our standard geometric inch. Another interesting measurement in the Great Pyramid, is known as the Christ angle, which is roughly 26.3 degrees or more precisely 26 degrees, 18 minutes, and 9 seconds. It is the angle of the ascending and descending passageways inside the Great Pyramid. It is called such because this angle if taken north of east from the site of the Great Pyramid will bisect Bethlehem - where Christ was born! But this is not all. 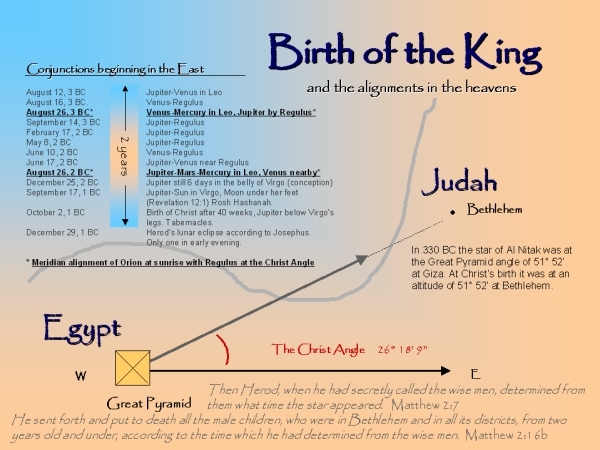 If one were at Bethlehem at the time of Christ’s birth and looked up to the lower belt star of Orion (Al Nitak—the wounded one) at meridian, the angle of that star above the horizon would be at the same angle as the Great Pyramid itself—51 degrees and 51 minutes! There is much more to be discovered in these Pyramids, far more measurements and hidden chronology dates are known that I have not covered. This is all undeniable proof of God. See Part 1, The Great Pyramid: Amazing Proof of God, here!